For Jane Re, half-Korean, half-American orphan, Flushing, Queens, is the place she's been trying to escape from her whole life. Sardonic yet vulnerable, Jane toils, unappreciated, in her strict uncle's grocery store and politely observes the traditional principle of nunchi (a combination of good manners, hierarchy, and obligation). Desperate for a new life, she's thrilled to become the au pair for the Mazer-Farleys, two Brooklyn English professors and their adopted Chinese daughter. Inducted into the world of organic food co-ops, and nineteenth-century novels, Jane is the recipient of Beth Mazer's feminist lectures and Ed Farley's very male attention. 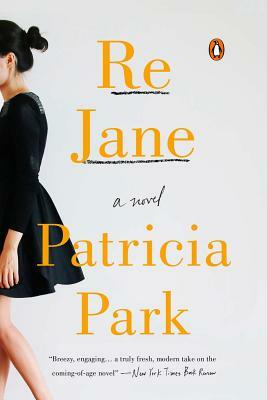 But when a family death interrupts Jane and Ed's blossoming affair, she flies off to Seoul, leaving New York far behind. Reconnecting with family, and struggling to learn the ways of modern-day Korea, Jane begins to wonder if Ed Farley is really the man for her. Jane returns to Queens, where she must find a balance between two cultures and accept who she really is. Re Jane is a bright, comic story of falling in love, finding strength, and living not just out of obligation to others, but for one's self.